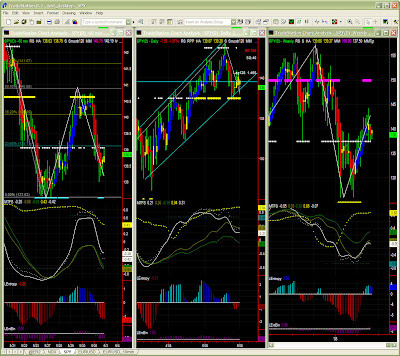 Dominant TF: Daily, Weekly, but 60mins falling behind. Position (60mins): short but target is close. 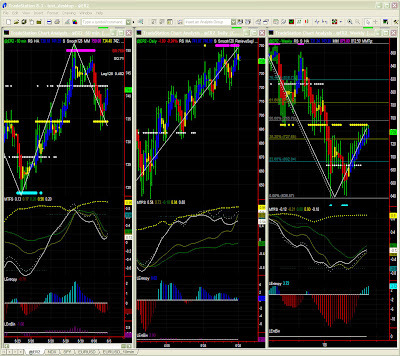 My last SPY post three trading days ago was spot on, and the indications given on EURUSD proved correct. Same for yesterday's comments yesterday. These snapshots are for the time being provided free of charge, but it is clear that such valuable information should remain relatively confidential. The blog will therefore be locked from September 1st. Contact me for details. EURUSD: indecision on longer time frames. Opportunities must be found on time frames below 30mins, which cannot be described on a daily snapshot. MTFS is closing a bell shape pattern, so we may have a soft landing near yesterday's lows or possibly close to 137.5 (strong MM resistance). Entropy may however bottom out within a bar or two, so a congestion scenario is quite possible. We also note that significance level at this time frame is now down to 43%. The situation is similar 3 days ago, and we should still see some range trading or congestion above pivot level at 137.50. MTFS and Entropy indeed both show a slight downward bias to a support at lower boundary (137.50). We shall remain cautious since the Swing indicator toggled down so we'll keep a close look at this key level. We do favour a return to the overall upward trend over the medium term. Weekly: recovery is losing steam, entering congestion period. No real change from last post. We anticipated this current slowdown which brought SPY back to Fib PR1 (38.2%) around 137.35. This level should hold for now. Congestion is therefore likely in the short term. However since we never got full MTFS pattern completion in oversold territory, we will keep a close look at possible formation of new pivot point and next Fib pattern going forward. 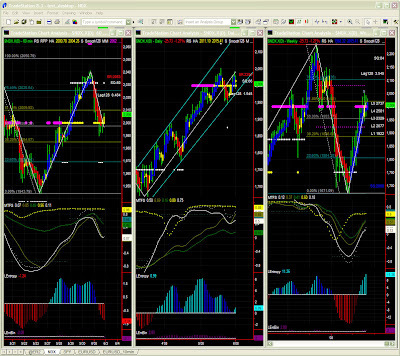 Although unlikely at the moment, this kind of configuration can also turn around to a down Fib pattern.